Bent & Dent Body Shop is your all-in-one bodywork repair and restoration expert. We provide vehicles with collision repair, frame straightening, auto paint and even glass installation, to restore the integrity and appeal of your auto. Plus, we work with all major insurance companies to schedule, inspect and repair your vehicles seamlessly. Contact us today if you need bodywork and let our professionals handle it quickly and expertly. From dents and dings to collision repair and frame straightening after a major accident, Bent & Dent Body Shop is your complete resource for bodywork repair and restoration. Our full-service body shop in Johnson County, MO is equipped with the tools and expertise needed to deliver top-tier repairs to your car, no matter the extent of work needed. We routinely bring cars back from the brink of the junk yard, helping them look like new again! Regardless of make or model, trust us to deliver stunning results. Whether we’re working on your daily driver or helping you restore the appeal of a classic show car, our level of dedication is always above and beyond 100%. We can work on virtually any make or model, foreign or domestic, offering a superior level of service regardless of the car. We’re proud to have been family-owned and -operated since 1977. Our shop boasts expert credentialing and certifications. We’re 3M Certified, as well as I-CAR Certified. Our shop is well-versed in handling insurance claims and we can work with virtually any insurance company to facilitate repairs quickly. We’re capable of working on all aspects of vehicle restoration, including paint and glass. We’re your all-in-one resource for bodywork! 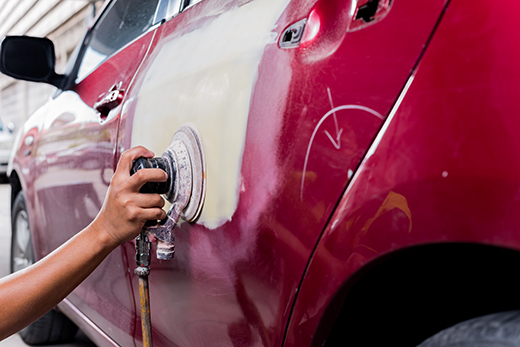 Don’t let a cracked window, scuffed paint or the aftermath of an accident ruin your vehicle’s integrity and appeal. Contact our team today and we’ll restore it to a like-new condition for you.